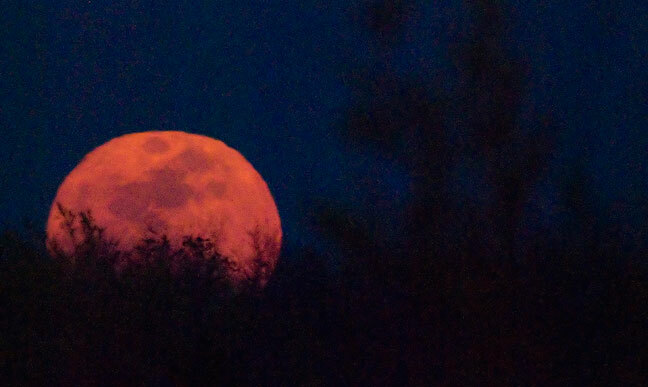 I don’t know if this is really a bad moon, but it looks pretty mad. The last couple of days have had some rough edges. My wife Abby’s arthritis is being pushed to the limit by some very odd weather changes. She’s really suffering, and there’s little I can do to help or comfort her. An emergency medical technician checks a dog for vitals. The dog didn’t make it. 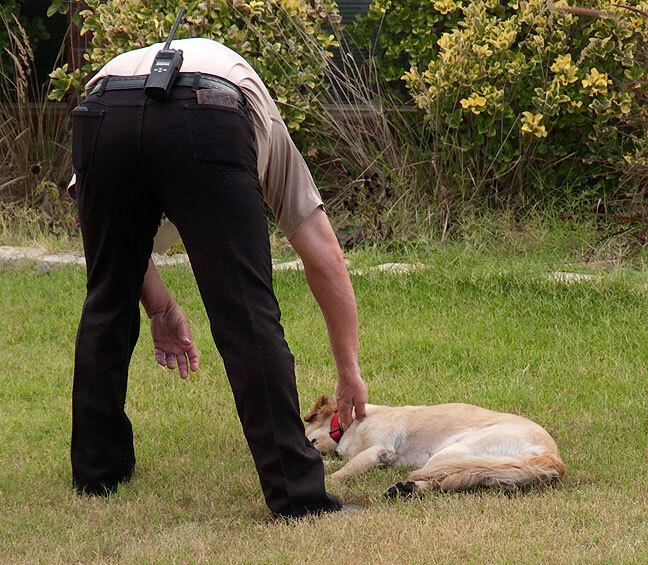 Last week at a house fire, fire rescue removed a dog that died from smoke inhalation. I felt bad for everyone in every way. Yesterday, a long-ago girlfriend called. We’ve stayed lightly in touch for some years, but I seldom hear from her, so it was almost completely unexpected to see her name on the caller ID. I say “almost” because she texted all of her contacts that she was having invasive surgery associated with cancer, so when I saw the ID, for a second I thought she might have died. Her voice was thin and her speech was deeply slurred; obviously she was heavily medicated. She told me she loved me, but was unable to communicate anything else very clearly. I don’t know – maybe she was saying goodbye. This morning I came into the office to find that a normally lit desk was dark. Within an hour I discovered that someone I knew and liked had been abruptly terminated, though no one who could talk to me knew exactly why. After working the morning half of my split shift today, I went to Walgreens to get a few things for Abby. While in the back of the store, I heard a toddler pitching a fit. By the time I got to the check out line, the toddler was a little calmer, but it was clear that his mother was struggling. When another woman mentioned something like “we’ve all been there” about the child, the mother burst into tears and told us that the father had left them. Two women went to hug and comfort her, and that seemed right. If there are bright spots on this dark day, one would be that my vegan diet is going great. I have tripled my intake of broccoli and red cabbage while reducing my overall caloric intake. And I just got a call from a coworker who is in Texas and found Tofurky on sale and offered to pick up a couple for me. Despite the bad moon, I am optimistic. 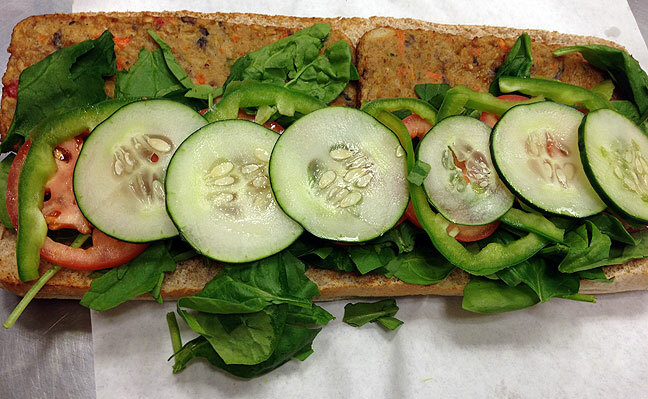 Our downtown Subway store recently re-added veggie burger patties to the menu; with tons of spinach, green pepper, tomatoes, and cucumbers on whole wheat, this thing is a vegan’s dream, and very nutritious. My first reaction is that it is the month of September, and traditionally, September is a rough, violent, unpredictable, strangely unpleasant time. Big upheavals typically occur in the ninth month, or at least, that is how it seems to me. So it’s not surprising, really, that you’re experiencing whole strings of inexplicably (or perhaps in some cases explicably) odd or even depressing events. When they hit all it once, it can be hard. Best thing is to focus on the silver linings, though believe me I understand that is easier said than done. I am especially hopeful that your wife finds some relief. Given my unexpectedly deep and very real feelings for Christa, I can empathize with your desire to at least give some comfort, and the disappointment that that comfort is hard to come by. Oh, and photographing dead dogs? Yes, that would ruin my day and make me want to curl up underneath the bed and not come out. As to the firing of your coworker, it reminds to never, ever underestimate the wantonness of most publishers and GMs. Hope things get better. That dog looks just like — just like — Dauphine. I have chills, despite the undercurrent of yearning for that exact sandwich. 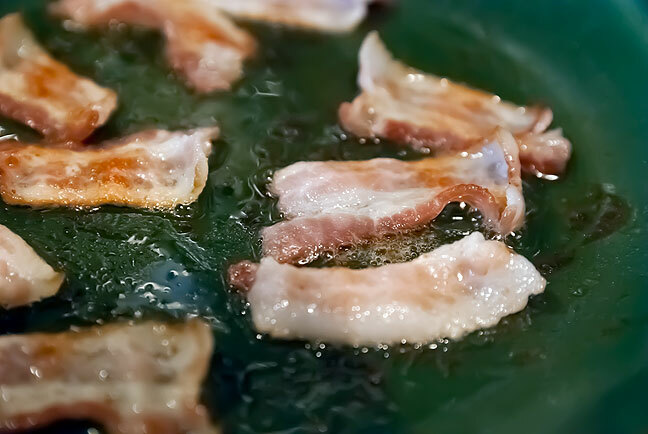 Oh, and Tracey likes his bacon the exact opposite of how Abby likes it (thus, I am the bacon master in our home). I’m “meh” on that particular song, but these days I’m all about finding uplifting, inspirational tunes. Tracey’s carved himself a bit of a niche in the church community through his “Christian Karaoke” setup. A church events, he rigs up YouTube, his giant monitor, a couple of mics, and his amp, and we play (and sing — even me!) tunes to get the crowd in the right frame of mind. It’s possibly the most fun thing I’ve ever done. Anyway, if you can think of some songs, we’re all ears, since we like to change it up. Just now I came up with Stevie Wonder’s “Uptight”. You either didn’t listen to the song, didn’t pay attention when you did, didn’t read the lyrics, or some combination of the three, because this is the most uplifting song I’ve heard in months. That’s what I like most about it. As for the tough stuff piling up, it seems to do that, doesn’t it? At least for me. In hindsight, I’m always thankful that the downer parts of life seem to clump together, though it seems tougher at the time. I’d rather have five or 10 depressing incidents in one day, instead of spread out over 10 or 20 days. You were solace on days that it all stacked up. Your amazing comfort, the fall of non judging gaze. The unconditional love I knew you extended me and I extend back today. I love you and Abby. Just be Richard it is helping, promise! Always the kindest words from Jamie. I love you, my friend.